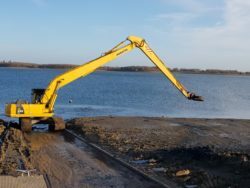 On Friday 30th November a 30 ton digger with a 19 metre reach arrived at Grafham Water SC. 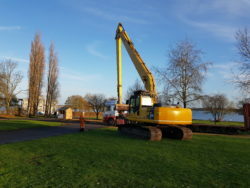 After a bit of a struggle to get onto the visitors’ car park the digger was offloaded from the low-loader. 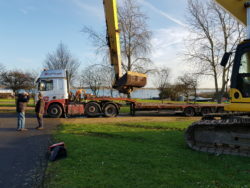 It just managed to manoeuvre round the corner of George’s gate hut and down past the Coxswain’s shed to the water’s edge. 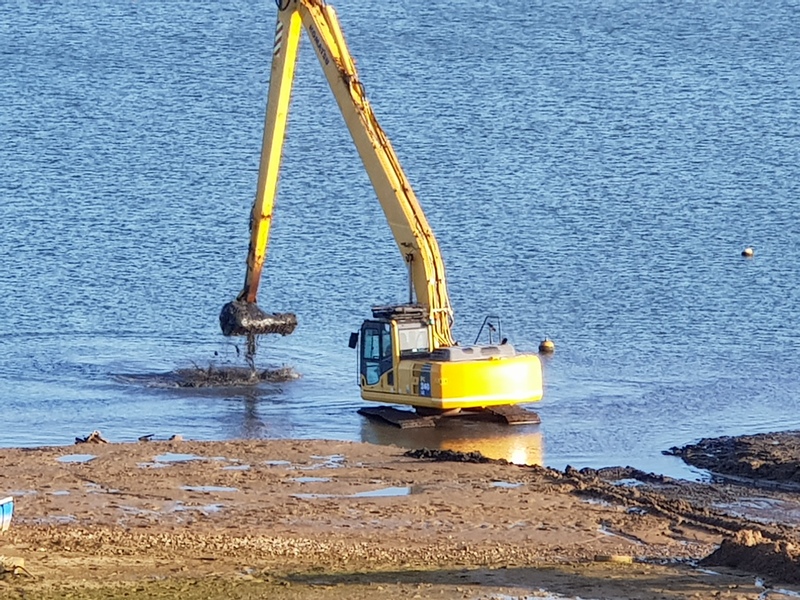 Having made its way down to the edge of the water, it spent most of the morning scraping mud from the slipway and piling it on the bank at the side. The caterpillars allowed it to get quite far out into the water and clear a good long distance. 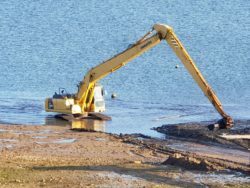 Then it was time to smooth the bank beside the slipway so that the jetty can be wheeled back out into the lake. 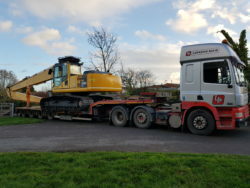 Once the work was done it was time to load the digger back onto the low-loader to take it home. There are more photos and video on our Facebook, Twitter and Instagram pages. 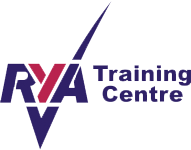 This article was posted in Homepage Items, Sailing Club.